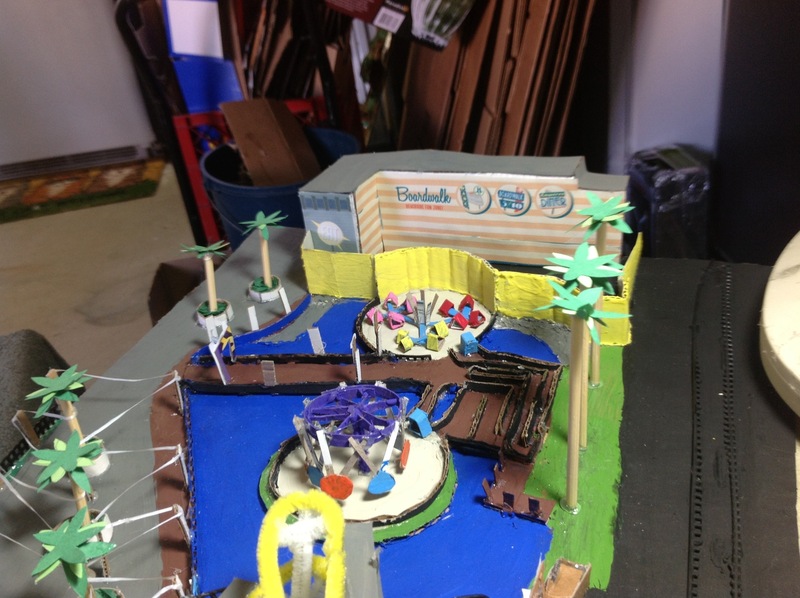 Here is a model of the amazing boardwalk at Knott’s Berry Farm. You can read my review here. 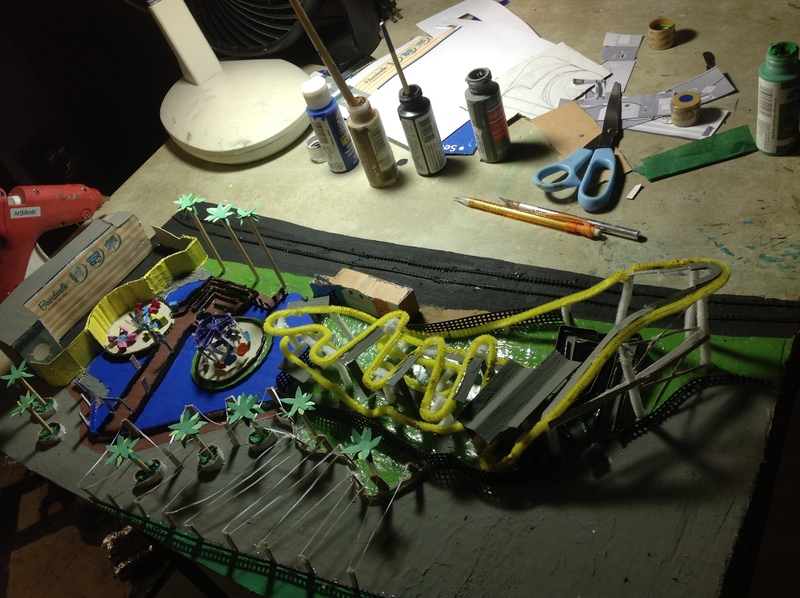 I used pipe cleaners to make the roller coaster, Coast Rider. I also got plastic mesh and used it for the fence. The façades were very easy to make. 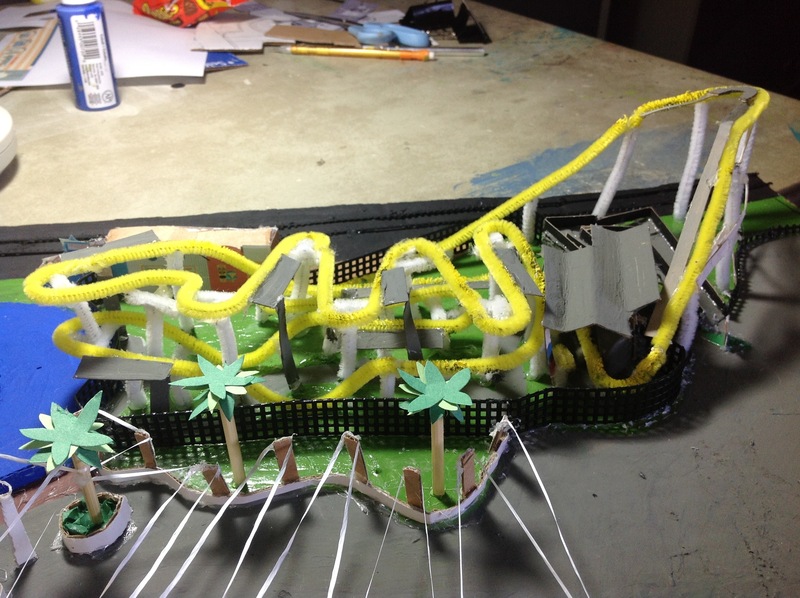 Knott’s released the plans for them and I scaled them down. I placed them on card-stock buildings. I used card stock because it’s easy to cut, bend, and paint. I also used dental floss for the string lights. 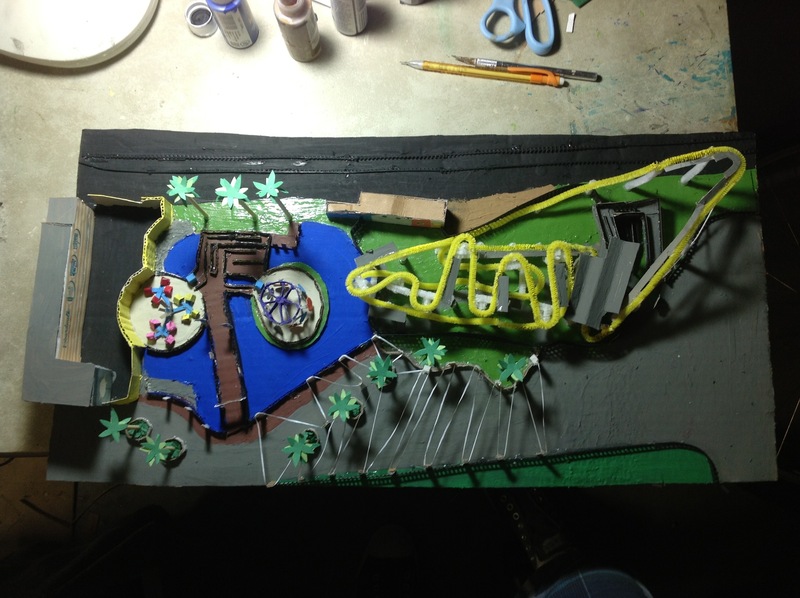 I used green construction paper to make the palm fronds. I cut skewers to make the trunks of the trees. The flat rides were made from card stock also. I cut the parts out and then painted them. The last thing I did is I assembled and attached the flat rides. Thanks for reading! Please share this article on Facebook by using the buttons below. 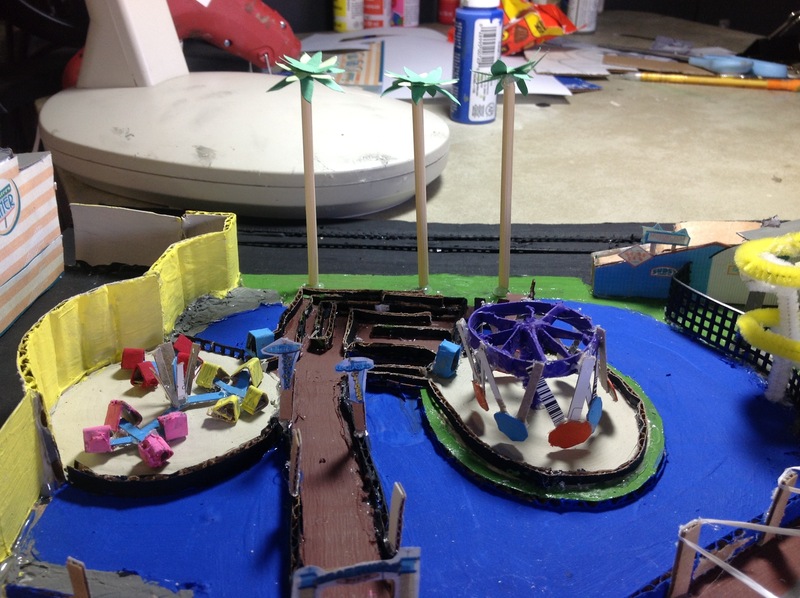 You can like the Kolby Konnection Facebook page for pictures around the parks and updates on models. You can email me at kolbykonnection.com and subscribe to the Kolby Konnection YouTube page. What do you think of this model? Great job Kolby! Your models are getting better and better. This one is amazing. So glad to see you using color. Makes a big difference.